Carroll County is one of the smallest of Ohio's counties and was named for the last surviving signer of the Declaration of Independence, Charles Carroll of Carrollton, Maryland. Charles Carroll who died just 1 month before Carroll County was formed in 1832. 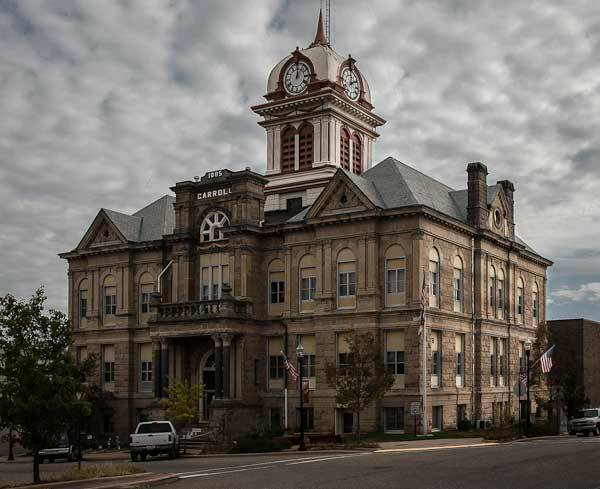 The Carroll County Courthouse (shown above) was built in 1885 and was placed on the National Register of Historic Places in 1974.